Barley Grass (Hordeum vulgare) is a nutritional source of chlorophyll. 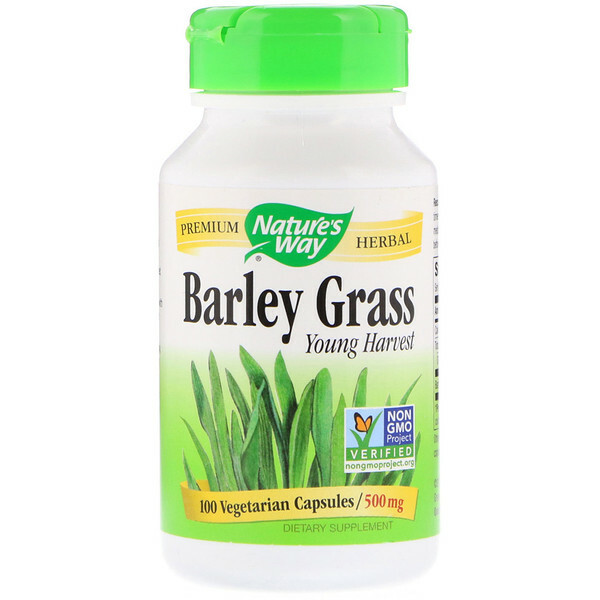 Our Barley Grass is harvested before it goes to grain, carefully tested and produced to superior quality standards. 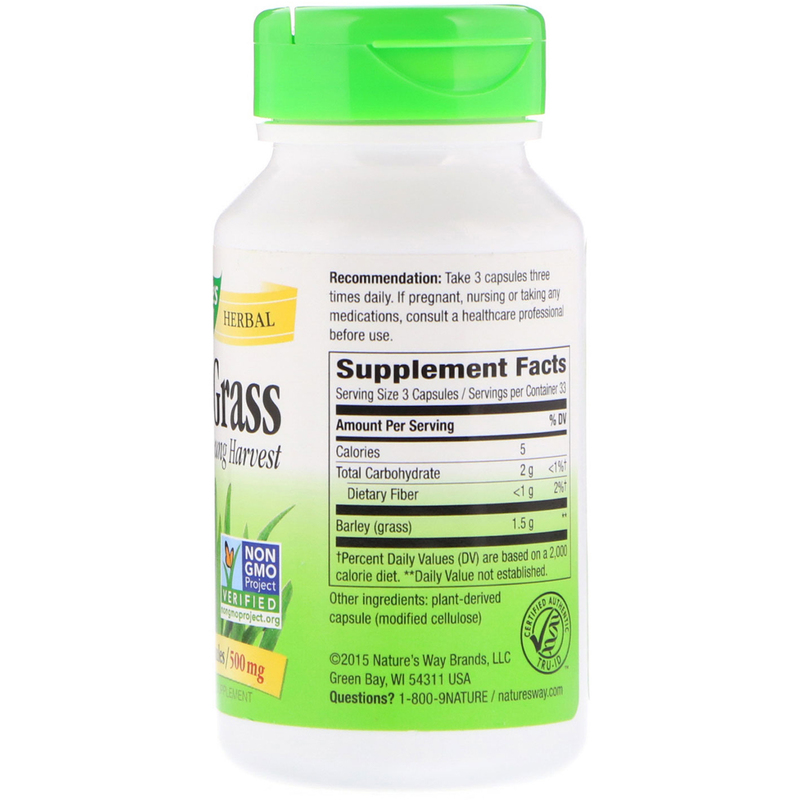 Take 3 capsules three times daily. Keep out of reach of children. Safety sealed with printed outer shrinkwrap and inner seal. Do not use if either is broken or missing. If pregnant, nursing or taking any medications, consult a healthcare professional before use.